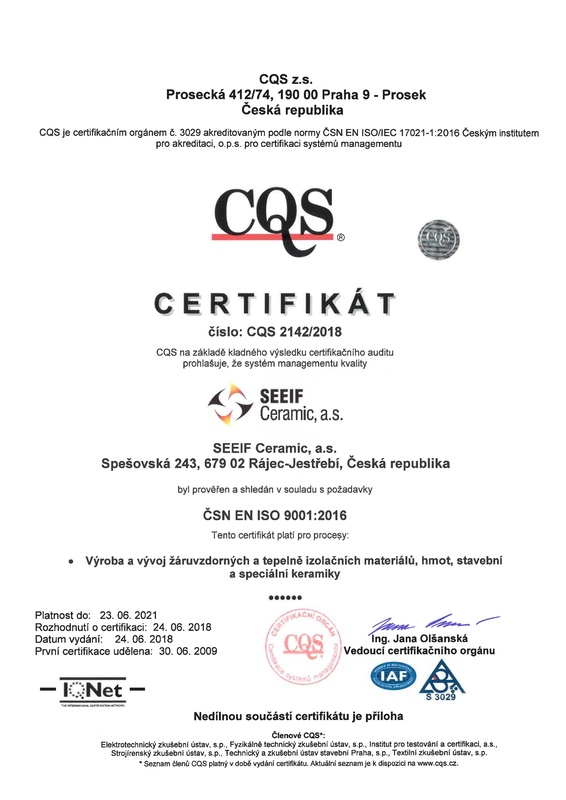 Certifications and recommendation – SEEIF Ceramic, a.s.
To ensure the high quality of refractory products and services, SEEIF Ceramic, a.s. implemented and certified quality management system according to ISO 9001. 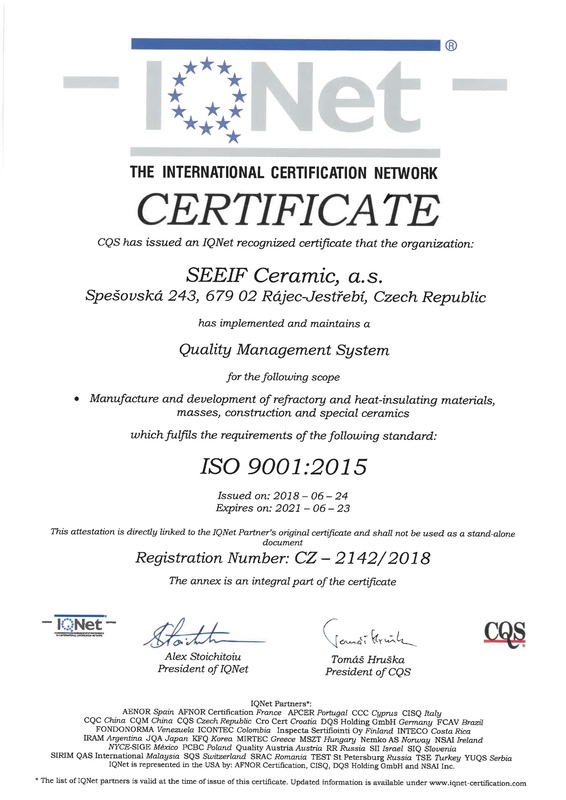 The quality management system has been certified by organisations CQS, IQ-Net. 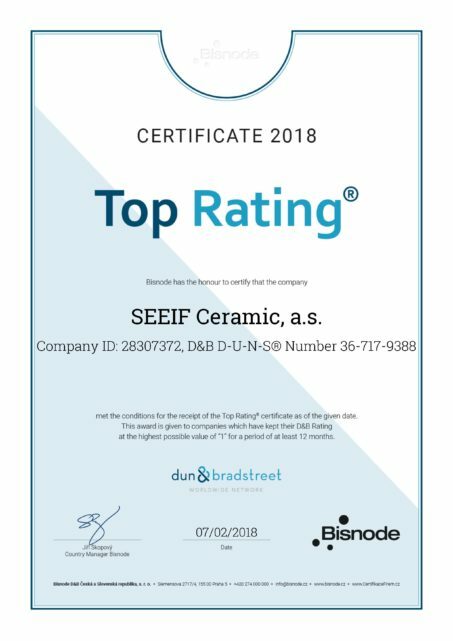 SEEIF Ceramic a.s. obtained the certificate issued by the company Bisnode Czech Republic, a.s., in which has received rating “Top Rating”. The evaluation of the D&B risk factor at the highest possible level “AAA” meets strict conditions that demonstrate financial stability, good payment history, solvency and reliability. Obtained rating is proof of safe, reputable and fair business relationship both current and future.